The young Georgia Tech Honors Program saw its first class graduate in 2010, and it was a class marked by excellence. Out of 55 students in the first class, 98 percent graduated with a 3.0 GPA or greater. 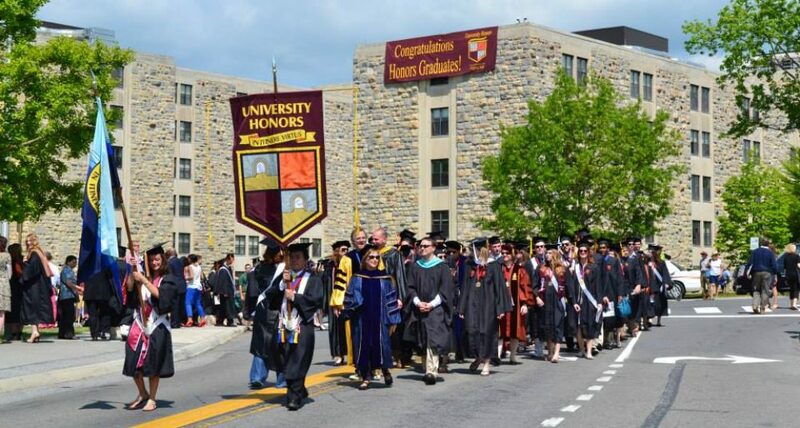 Twelve students earned a 4.0 GPA, a remarkable accomplishment given the well-known difficulty of the university’s undergraduate programs, especially in the fields of technology and engineering. Some 89 percent of the graduates earned academic honors: 35 with highest honors; 7 with high honors; and 7 more with honors. Incoming freshmen live in Field Hall, near the football stadium and close to a dining hall used by all Georgia Tech students so that honors students will have frequent contact with both honors and non-honors students. The core curriculum now features five courses, two in the first semester and three more during the second year or beyond. Honors students attend regular symposiums that feature Nobel laureates as well as the president of the university. The Georgia Tech program will have a profile in the upcoming guidebook, but because of its recent arrival on the honors scene, it will not be compared to other programs. This entry was posted in Types of Honors Programs and tagged College Honors Programs, Georgia Tech Honors Program, Public Honors Programs by Honorsadmin. Bookmark the permalink.